Are you the type of person who felt like an outcast at school? Or by the same token, have you ever been annoyed with yourself for not being able to perform well with others? 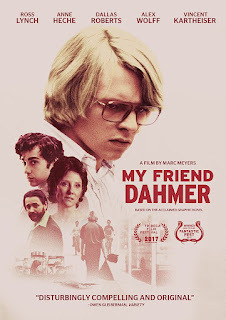 If so, then to some extent you might be able to relate to Jeffrey Dahmer, a gay cannibalistic serial killer who's the main focus of the following film: My Friend Dahmer. This 107-minute movie was made in 2017, and it was directed by Marc Meyers, and starred Ross Lynch, Alex Wolff, and Anne Heche. Now, of course, I do mean this with all due respect; as I would never want to imply that someone I've never met is a stark raving lunatic. Even so, somehow the director behind this film was able to tell a fairly associative story that was relatable, engaging, and thrilling to watch, which is a rare entity by today’s standards, especially for a film that features a serial killer as its main protagonist. 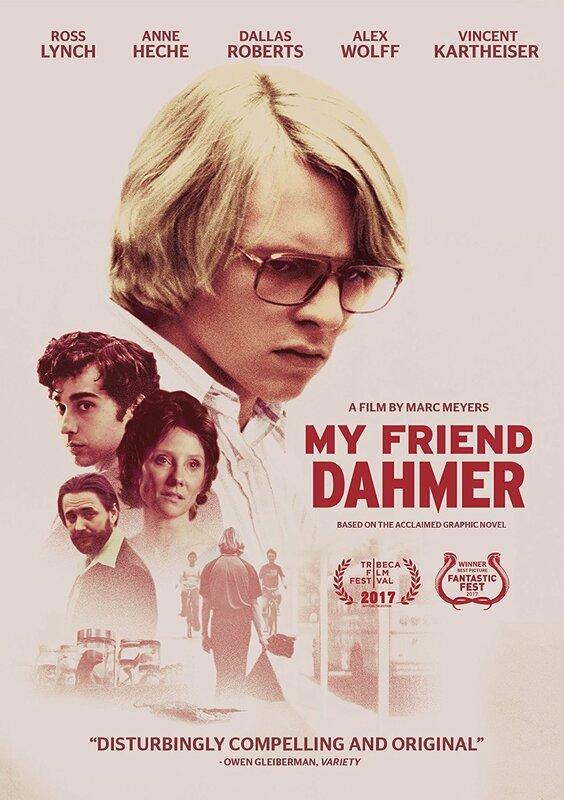 So, if you're intrigued about what goes on in the mind of a serial killer, and need a break from the plethora of romcoms and superhero movies, then 'My Friend Dahmer' is surely the movie to watch, without forgetting to use vouchers from Bydiscountcodes.co.uk for budgeted booking. Overall the story is a very emotional one to follow and focuses on the life and times of a young Jeffrey Dahmer. It starts in 1974, in Bath, Ohio, with Dahmer, then a freshman, obsessing over a male jogger whom he sees every day from the window of his school bus. Obviously, Jeffery is very attracted to this man, very attracted, but he's unable to show or express his feelings in a conventional manner. So what he does instead is to lock himself away, in his parents shed, where he chops up and collects dead animals which he fries to the bone, but not before intentionally cutting his own hand and drinking his blood. Worse still, we also discover that he was born, bread, and brought up in a troubled household, where his mother is addicted to drinking and taking drugs while his father is unable to deal with her turbulent mood swings. After a while, it becomes fairly apparent that Jeffery gradually absorbs some of his mother's dark qualities; because he too starts to develop a drinking problem and likewise shares a difficult relationship with his father. Thankfully, though, he doesn't come across like a total outcast throughout the course of this narrative, because he does make friends with a local artist who draws portraits of him (which later becomes a graphic novel). 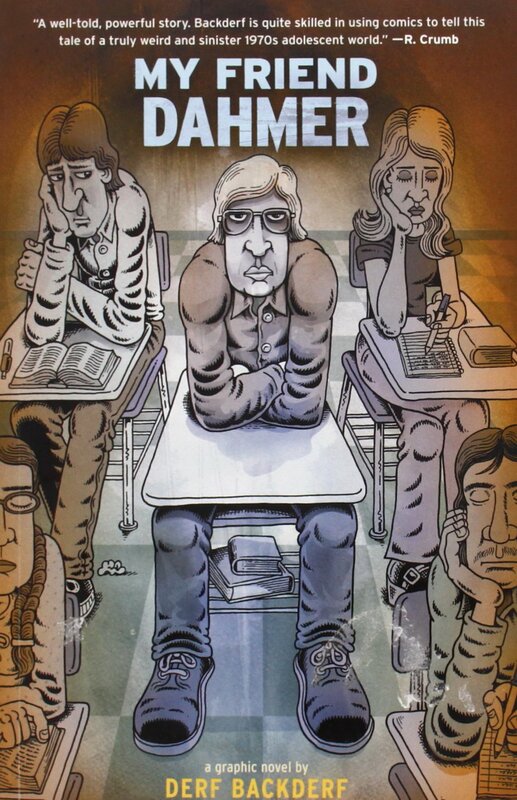 Although sadistic, the film never paints Dahmer as an over-the-top psychopathic serial-killer yearning to murder, maim, or rip people to pieces. On the whole, his more human side is eerily evident from the very first frame Ross Lynch is able to portray him, as he gives a performance that evokes genuine sympathy without ever exposing his devilish soul. In fact, Ross's performance is so humane and associative, it soon becomes apparent that Jeffery is generally viewed as a harmless gay guy that is socially awkward and an easy target for those predators around him (despite any of them really knowing that they could be his next victim). Fortunately, Ross isn't the only actor in this film who should be applauded for his performance, because the rest of the cast supports him rather nicely through and through; such as the always charismatic Alex Wolff and the always charming Anne Heche. A notable mention should also go out to Marc Meyers, the director of this film, who was able to adapt it from the original Der Backderf graphic novel. More or less he was shrewd enough to instill both sympathy and remorse into this production and create an honest and down to earth visual translation. So whether you are a thriller fanatic or not, all in all, I'd say that this is the type of movie you must watch and enjoy for the goosebumps and the creepiness alone. It's warm. It's cold. It's full of emotion. And it's a film you should die to see. Not literally, of course, but figuratively. (1) This independent production was first screened at the Tribeca Film Festival on exactly the same day Queen Elizabeth the 2nd celebrated her 91st birthday. It was on the 21st of April, 2017, and it clawed back one point four million dollars at the box office. (2) In 2014, the screenplay for this film was featured on a list that focused on the "most liked" unmade scripts of the year. (3) One of the taglines used to promote this picture was, ‘Based on the Acclaimed Graphic Novel’. (4) And on that note, you might like to know that the creator behind this graphic novel, Derf Backderf, won the Robert F. Kennedy Journalism Award for cartooning in 2006. (5) The majority of this movie was shot on location in Jeffery Dahmer's hometown of Bath, Ohio. This includes 4480 West Bath Road, Bath Township [Jeffrey Dahmer's home], Euclid and Euclid Square Mall, plus select parts of Cleveland, Ohio. Revere High school, which was the High school Dahmer once attended, was going to be featured in the film as well, but the school rejected the offer, so it was replaced with Middleburg Heights Junior High School, 7000 Paula Drive, Middleburg Heights. (6) Ross Lynch once told a journalist that he gradually became insecure about playing the part of Jeffrey Dahmer for this film. In fact, he was so nervous that he was going to somehow ruin it, that he’d take 30 minute showers after a long day’s work and just think about his dark, dark, role. (7) This movie has a website located at www.myfrienddahmerthemovie.com. (8) After this adventure did it’s nut, Ross Lynch starred in the short, ‘R5:If’; Anne Heche starred in the thriller, ‘Armed Response’; and Alex Wolff starred in the TV series, ‘Red Oaks’.